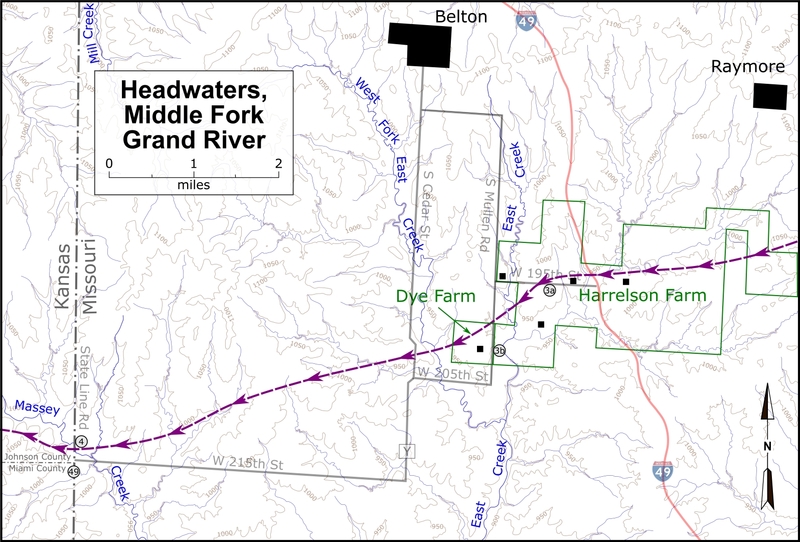 Continuing on from the Potter Farm, Quantrill halted again on the Dye and Harrelson Farms, about five miles from the Kansas border. Looking south from Harrelson Farm tour stop landscape. 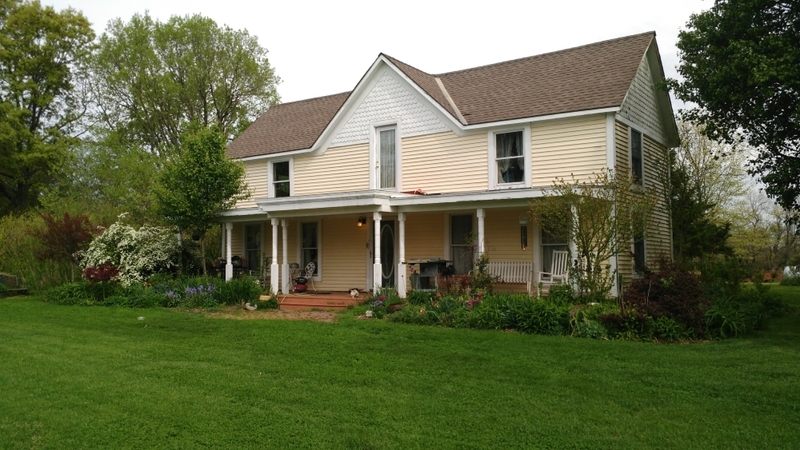 Original house on Dye Farm located south of Belton, Missouri. 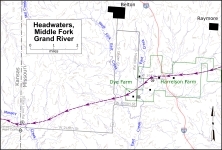 Map showing location of the Headwaters, Middle Fork, Grand River tour stop. Click on thumbnail to load high resolution version of the map.